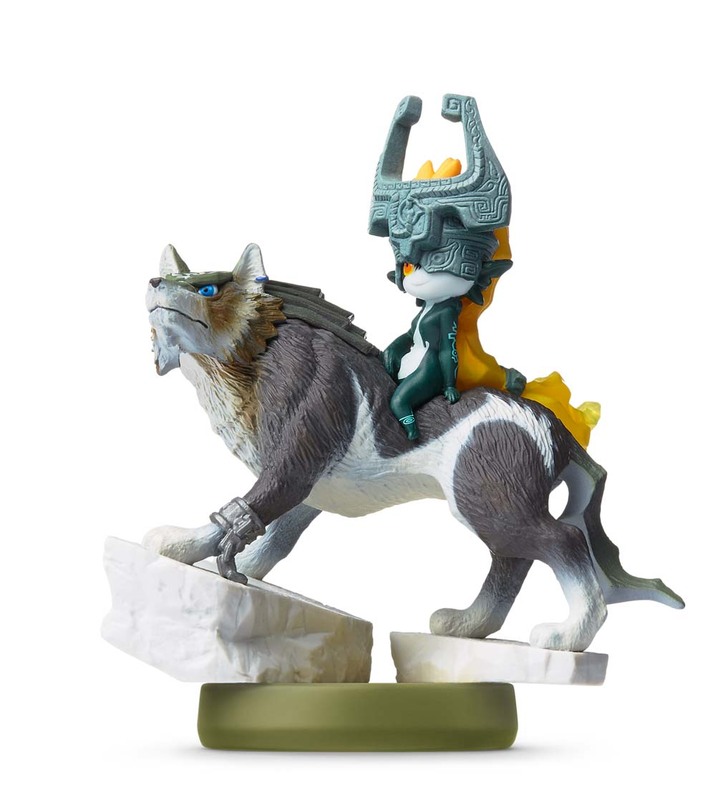 Wolf Link is the legendary twilit beast form of the hero Link. He first appeared in The Legend of Zelda: Twilight Princess, where he worked with the mysterious and mischievous imp Midna to take down a usurper to the throne, and to save Hyrule and the Twilight Realm from darkness. amiibo tap: Nintendo’s Greatest Bits [Read]: Scan your Wolf Link amiibo to unlock a short playable portion from one of 32 include Nintendo Entertainment System (NES) or Super Nintendo Entertainment System (SNES) titles. The Legend of Zelda: Twilight Princess HD [Read-Write]: You can scan the amiibo to unlock the Cave of Shadows, braving a brand new series of challenges where you must use Wolf Link and Midna’s abilities to wipe out waves of enemies. After conquering the cave, players can save a record of their remaining hearts to the amiibo, and return to attempt to beat their score in a later attempt.